Ears are very special and delicate instruments that require some very basic care and attention in order to maintain their general health. General hygiene measures are all that is generally needed in order to preserve the normal function of your ear. Washing and bathing of the external pinnea and behind the ear using soap and water should be all that is needed to achieve this. Care should be taken to dry the ear and to try and prevent unnecessary immersion under water to prevent certain disorders. When water does enter the ears such as when bathing or swimming always tilt the head and allow for water to drain out naturally. When piercings are wanted, always follow the care and advice information and guidance given by the piercing technician in order to prevent inflammation and infection. If infection does occur, remove the jewellery and bathe regularly with luke warm water and soft gauze until medical advice can be sought if necessary.Do not share earrings with anyone else as this is one way of spreading infections. If an allergy to the jewellery is suspected, remove the item and bathe as necessary. Replace with an alternative item when recovery and skin has healed. Earwax should be excreted naturally from the ears without the need for cleaning with cotton buds or any other implement. Using an instrument to try and remove wax is very dangerous and can cause trauma to the ear, introduce infection or push wax deeper into the middle ear, which can cause other problems.If a build-up of wax is suspected, use a few drops or warmed olive or almond oils applied gently to each ear to allow for softening of the wax and to help lubricate the passage of exit. If this does not work, see you GP or Practice Nurse for further advice. Do not try and remove it yourself. When spending long periods of time in the sun, remember to apply a good quality sun cream to the external ear, as this is an area that often gets over looked when applying sunscreen. Ears can get very seriously burned causing discomfort, pain and can lead to cancers developing. If you require the help of a hearing aid, there are some basic guidelines that can help you achieve the highest functional quality, prolong the life of your device and to protect your ears also.Firstly, always refer to the manufacturer’s guidelines concerning cleaning of the device and follow this rigidly as this will help prolong the life of the hearing aid.Also, remove the aid when not needed such as when in then bath or asleep as this will give the ear a chance to excrete fluids and wax that may have built-up over prolonged wearing of the device.Finally, check for batteries frequently as they can sometime some loose and be found inside the ear. If this is suspected, see your GP for confirmation and removal. If you suspect that you have an infection of the ear, remember to keep the ear dry, as exposure to water can cause the infection to spread deeper into the ear. Take pain relief and rest until symptoms subside, as they should do after around three days. If the infection persists and gets increasingly worse, see your GP to confirm diagnosis and suggest appropriate treatment. It is not usually necessary to seek advice if the infection is less than 48 hours old unless temperatures become dangerously high, vomiting is persistent or there is excessive drainage or bleeding from the ear. Maintaining the general health of ears is very important and something that is often over looked by people. By upholding good standards of general hygiene, protecting them from excessive exposure to water and protecting them from loud noises should be sufficient to keep them in good working order. 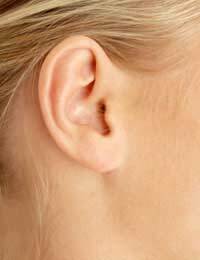 Some disorders of the ear however are inevitable and are due to genetic or developmental disorders. If you have any worries about your hearing, see your GP who will make the necessary referrals if needed. What's the Point of Earwax?